Seoul as it was, Seoul as it "is being", ever-changing. Copyright Stephane MOT 2003-2018 NEW! Join Seoul Village on Facebook and Twitter. Welcome to our Korean Errlines! Join Seoul Village on Facebook and Twitter, follow me on Instagram. Seoul Village 2009 - Like it or not, Gwanghwamun Square is already a success. As we saw before, the site can definitely be improved and uplifted (I mean literally : walking at street level remains a little bit disturbing with all the traffic so close to you), but at long last, pedestrians have reconquered the heart of Seoul. And on January the 1st and 2nd, they will totally own it : traffic will be completely closed between 6 p.m. and 11 a.m. on both sides of the plaza - the perfect occasion to test a concept planned from the beginning. The 2002 FIFA World Cup changed everything : masses rediscovered city center and furthermore, Koreans rediscovered the concept of popular, mass outdoor celebrations. City officials reacted quickly : first came Seoul Plaza (May 2004), then Cheonggyecheon Plaza (October 2005), and now Gwanghwamun Plaza (August 2009)*. Each hub has already proven part of its formidable potential, but they still have to learn how to work together as a seamless system. The transition between the first two will soon be facilitated by the new City Hall, and in order to ease the flow between the last two I'm sure Seoul City will come up with a solution : for instance, a gentle slope connecting Cheonggye Square or the pavement in front of Dong-A building with Haechi Madan** through the Gwanghwamun underground hub would not only make perfect sense, but also be very much appreciated by people with strollers or in wheelchairs. There could even be also a direct connection with the stream, and why not, that corridor could feature an underground waterway restoring the continuity between Cheonggyecheon and its source. This year, Gwanghwamun is literally stealing the show, starting with the ice rink, snatched away from Seoul Plaza (see "Winter Sports at Gwanghwamun Square"), and the light festival which includes projections on KT building and Sejong Cultural Center, or Paik Nam-june's Fractal Turtle Ship - the prow of the plaza during this winter edition of the Hi Seoul Festival. For Christmas, all Sejongno area was overwhelmed by a huge crowd, and cops had a tough time managing car and human traffics, especially around pedestrian crossings. Cheonggyecheon was well packed, but mostly around the podium installed in front of "Spring" (that's the name of the embarrassing artwork that marks the plaza : a giant, red-blue turbinate shell by Swedish sculptor Claes Oldenburg). Seoul Square, traditionally the young urban musical spot, offers this year a more familial "Winter Story" featuring the reproduction of King Sejong Station, Korea's Antartic Base... but until City Hall is reopened it seems a bit disconnected from the rest. One can easily imagine Sejongno with no cars for the first night of 2010 : a vast space filled with animations, food, and joy. And if it snows again, the night may truly be magic. * Seun Greenway Square was inaugurated in 2009 (May 20) opposite Jongmyo but is not yet connected with Cheonggyecheon. ** the exhibition space under Admiral Li's statue - see "Gwanghwamun Square - Preview"
Thank you for your comments and remarks. Also for your patience (comments are moderated and are not published right away - only way to curb the spam, sorry). 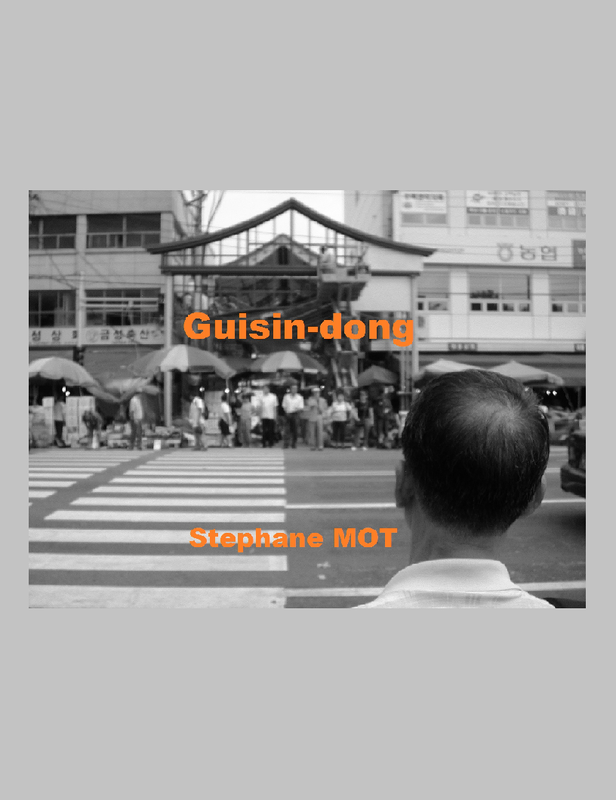 S.
Download my Seoul fictions "Guisin-dong" & "Year of the dog" for free. "dragedies" features four stories about Seoul. Join the Facebook page and group!